Not terribly impressed with Hunter’s Gold and Savanah, the mainstream products that masquerade as cider? 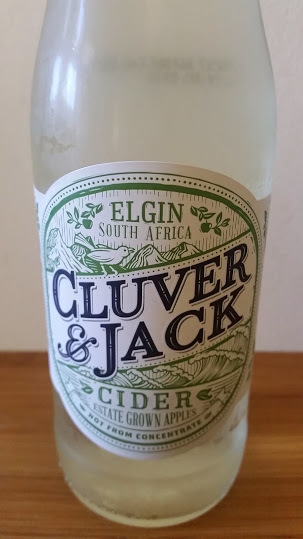 “Estate Grown Apples”, “Not from concentrate”, “Hand-picked apples” and “No flavourants, colourants or dodgy stuff” are just some of the purchase cues on the bottle of Cluver & Jack Cider, the new offering fermented in the Paul Cluver winery in Elgin using an “old family recipe” supplied by Bruce Jack of Flagstone fame. Pale green in colour, it’s light and fresh with a vague apple quality about it. Not sweet, but not super-dry, either. Perfect as a summer thirst-quencher. R20 per 330ml bottle.